People love rumours especially those that have to do with British royalty. 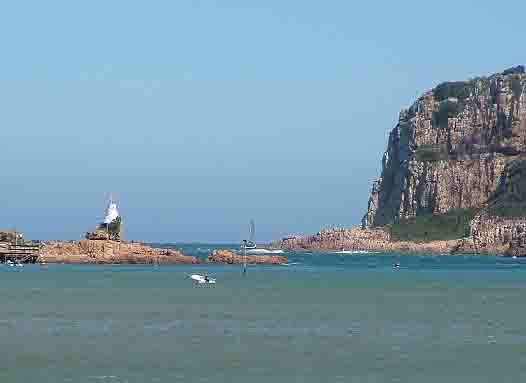 George Rex who arrived in South Africa and settled in Knysna in 1804 is the subject of one such rumour. He is believed to be the illegitimate son of George III, Prince of Wales. The legend is that he was the forgotten son of George the III and should have become king, rather than George IV on the death of his father in 1820. Had this been the case there would have been a completely different royal family in Buckingham Palace today. It is believed that the Prince of Wales secretly married a quaker girl named Hannah Lightfoot on May 27, 1759 in the Church of England. He later became King George the III. Three sons were born during this marriage, the eldest being George Rex. In 1797 to avoid a scandal involving the British monarchy George was sent to Cape Town as marshall of the vice Admiralty Court. On his arrival in the Cape he met a coloured slave girl whom he later freed. It is not known whether he married her but George was adamant that all his children were illegitimate confirming the theory that the last words of George III to his son were: “You must never marry. There must be no legitimate heirs”. The reason for this request was that George III did not want George's children to have any claim to the British throne. When the Cape was handed back to the Dutch in 1803 George Rex moved his entire family and large entourage to the farm Melkhoutkraal, which he had purchased in Knysna. The farm included the whole lagoon and the area today known as Knysna. The land was covered in indigenous forests and a natural industry for the area was timber. As it was very difficult to move timber by ox-wagon George Rex proposed building a harbour in the lagoon and in 1817 the 188-ton Royal Navy brig Emu made the first attempt to enter the lagoon through the Knysna Heads. Unfortunately for her she struck a submerged rock in the channel and was badly damaged and had to be beached to stop her sinking. Later that same year the ship Podargus arrived to fetch the cargo and crew of the Emu and managed to find a safe passage through the heads into the lagoon thus paving the way for a shipping industry in the area. Ground adjacent to Mellville which was owned by Colonnel Sutherland was also laid out as a village and called Newhaven. These two villages grew rapidly and merged in 1881. Shipbuilding started and in 1830 the first ship built in Knysna using local stinkwood was launched. The ship weighed a 140 tons and belonged to George Rex. Two schooners named Rover and Annie Benn were also built in the lagoon. 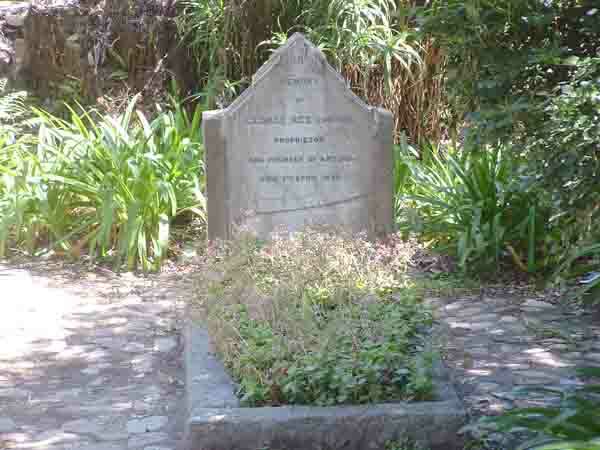 After living in Knysna for 35 years George Rex died in 1839 and was buried on a hillock on his farm Melhoutskraal or the Old place as it is known today. In 1876 a gold nugget was found on the farm Ruigtevlei by James Hooper. It was deemed to be a significant find and the authorities made a grant of a hundred pounds to him to do further prospecting in the area. In 1885 the search for gold in the Karatara River recommenced bringing many fortune seekers to the Millwood area. The succesful mining industry produced much gold over the next ten years and then petered out when the mines ran dry. Over the years Knysna continued to grow and if George Rex were alive today he would be so proud as Knysna has become one of the Southern Cape coast's best known holiday destinations. 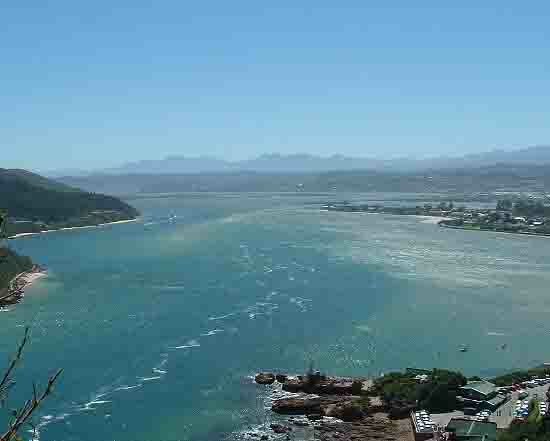 It offers many activities and attractions, the most well known being the Knysna Heads which guard the mouth of the lagoon which connects the estuary with the sea. Next time you visit Cape Town and the Garden Route take some time out of your journey and discover the jewel that is Knysna.